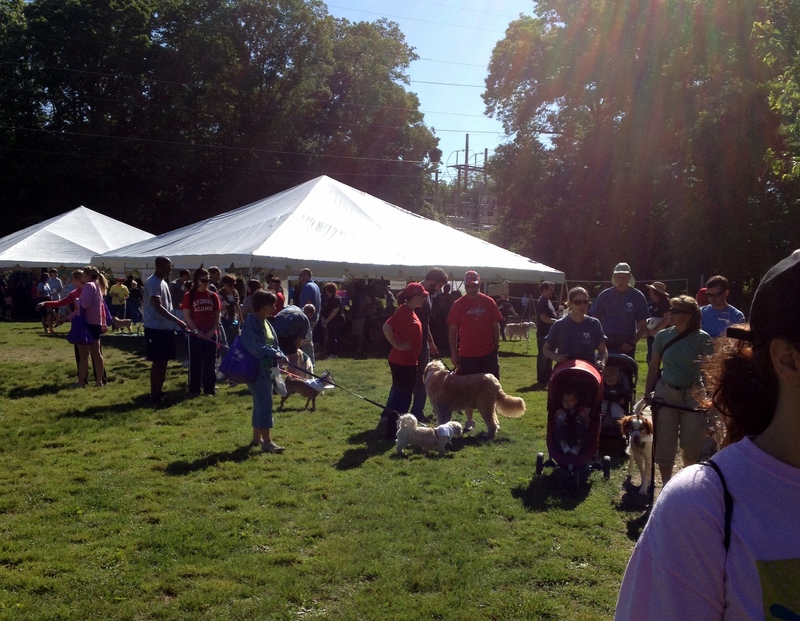 The Animal Welfare League of Arlington’s annual Walk for the Animals drew more than 600 participants Saturday, May 12, to Arlington’s Bluemont Park. Mother Nature smiled on the event this year (compared to last year’s cold and rain), delivering sunny skies and temperatures in the mid-70s. Even the polititians came out, with Congressman Jim Moran and Arlington County Board Member Jay Fisette cutting the ceremonial ribbon to start the event. 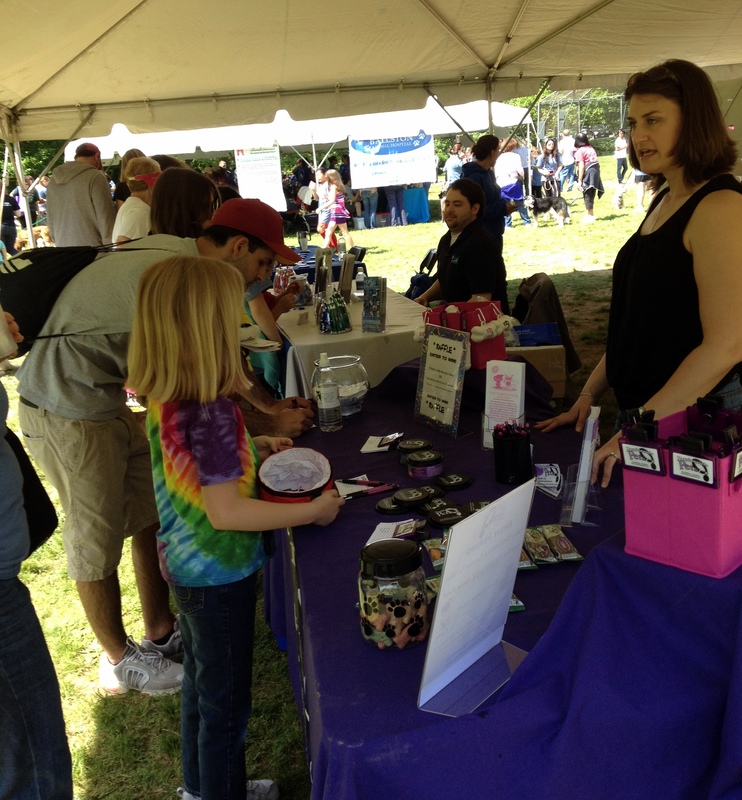 According to an AWLA staffer, more than 600 walkers pre-registered and there were a large number of onsite registrants as well. 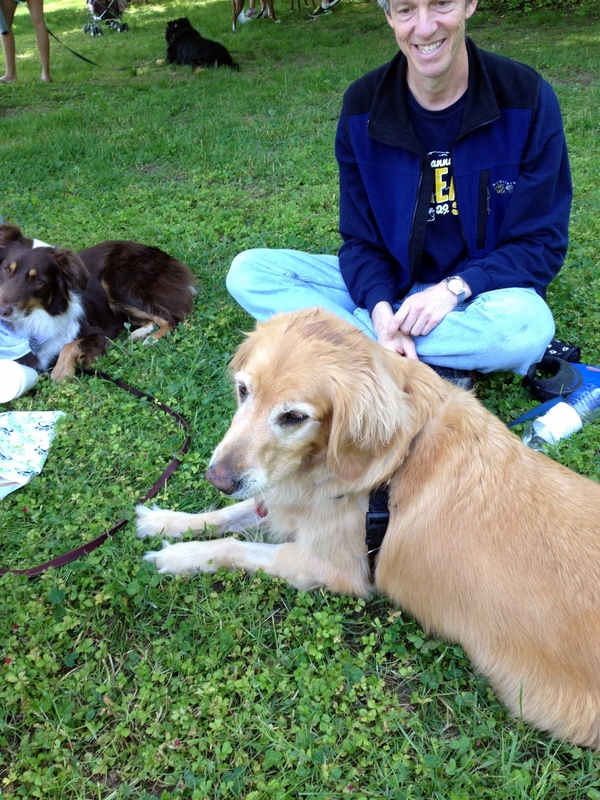 Last year, the walk raised more than $90,000 for the shelter with 500 participants. 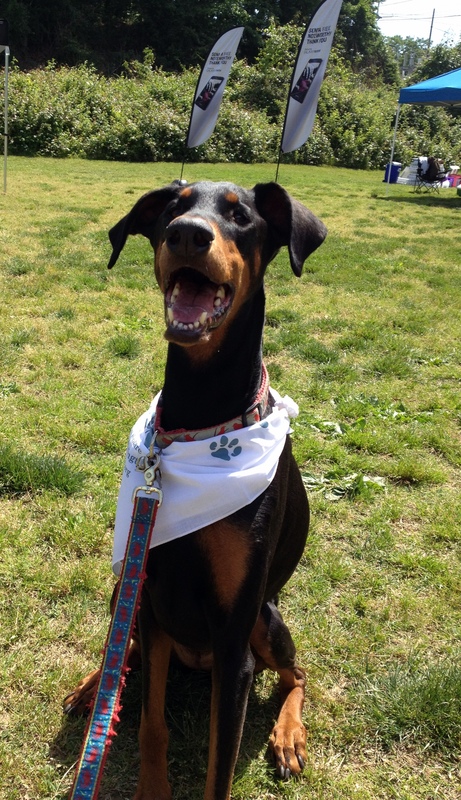 Human walkers were given t-shirts, and the dogs received a bandanna. Water was provided at stations throughout the three mile route. There was a also one mile walk. 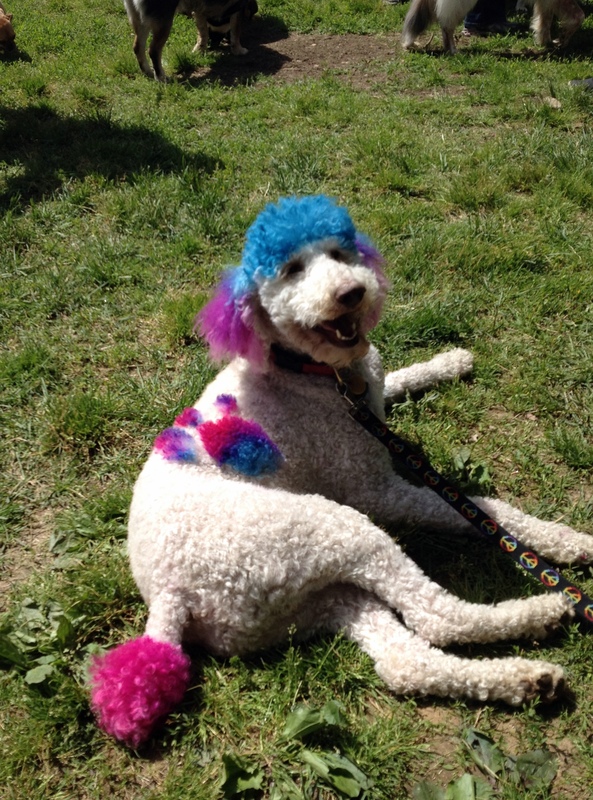 Some dogs wore festive attire, and some, like this poodle—who had a paw print on one side and a peace sign on the other—sported more permanent decoration. After the walk, there were agility demonstrations and more than a dozen local pet product and service vendors participants could visit. 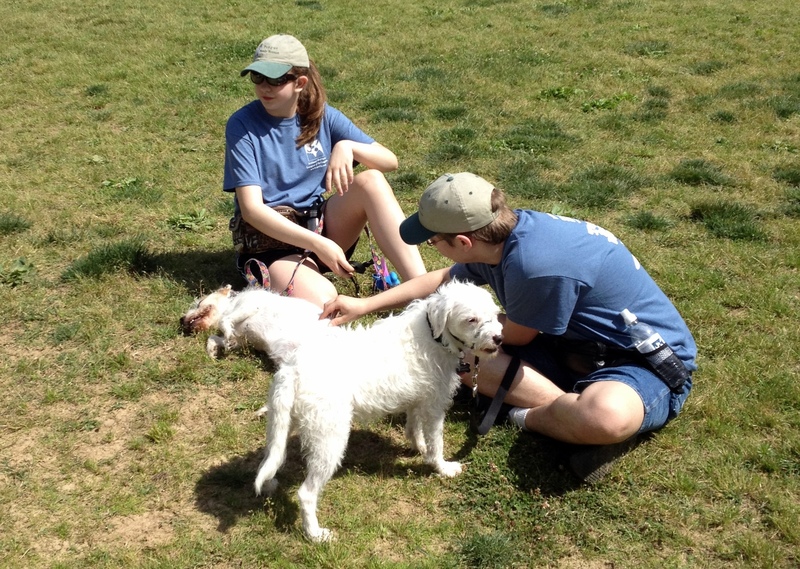 Many walkers just relaxed in the shade, enjoying the cool temperatures and quality time spent with their pooch.